8 hours of NMLS required education for state agencies that do not require state-specific education. 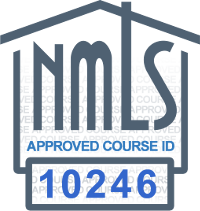 This NMLS license reinstatement course will instruct mortgage loan originators on a number of regulations that they will have to comply with while taking part in their mortgage loan origination activities. In the first module of this course we'll discuss the federal laws that regulate the mortgage industry. Our attention will first be focused on the Truth in Lending Act (12 CFR Part 1026 [Regulation Z]). The second topic focuses on the Real Estate Settlement Procedures Act (12 CFR 1024 [Regulation X]). These two federal laws are designed to protect the consumer when going through the process of applying for and obtaining credit. The second module is written with a focus on consumer protection and proper mortgage advertising practices as defined by the CFPB's Mortgage Acts and Practices Advertising Rule (MAP Rule), the advertisement regulations of TILA and RESPA, and the FTC Advertising Rules. In this module you'll be provided with a better understanding of laws that protect consumers from untruthful mortgage advertising. The third module will review the compliance requirements of the Bank Secrecy Act in regards to Anti-Money Laundering and the reporting of Suspicious Activity. It is designed to fulfill the training requirements of the Bank Secrecy Act (BSA) 31 CFR § 1010 and § 1029. The fourth module covers unique mortgage product solutions for unique customers. We'll cover several non-traditional mortgages such as the 203(k) rehabilitation loan from FHA, several energy efficient loan products, and Fannie Mae's HomeReady® Mortgage Program. The fifth module reviews various fair lending laws such as the Equal Credit Opportunity Act (ECOA) and federal fair housing laws. It is important for us to understand the fair lending laws that govern the mortgage business to remain in compliance and to fully understand fair lending practices. This Late CE course is specifically for MLOs who have not completed their continuing education requirements to renew their license in 2018 or earlier. Course credit will be issued for last year's renewal requirements. Title I of the Consumer Credit Protection Act, known as the Truth in Lending Act (TILA), was first enacted in 1968. The provisions of TILA are implemented by Regulation Z. The Real Estate Procedures Act was enacted in 1976, and its provisions are implemented by Regulation X. These two federal laws help consumers better understand the financial terms they are obligating themselves to. TILA requires creditors to issue a good faith estimate of costs associated with the credit being offered, while RESPA discloses the costs of settlement services and prohibits unethical kickbacks between mortgage licensees. This module will outline both of these federal regulations. Describe the transactions that are exempt from Truth in Lending Act regulations. Review what is and is not considered to be a permissible finance charge. Outline the Truth In Lending Act regulations regarding open-end credit and closed-end credit. Identify the kinds of promotions the TILA consider to be advertisements, including prohibited acts when advertising mortgage services. Summarize the acts that would require issuing a revised Loan Estimate or Closing Disclosure. This module is written with a focus on consumer protection. Most, if not all of the regulations of the mortgage and banking industry are implemented to protect the consumer. In this module you'll be provided with a better understanding of laws that protect consumers from untruthful mortgage advertising. Understanding what you can and cannot do in regard to advertising loan products is vital when dealing with the public and promoting your services. As an advocate for your customer it is up to you to be diligent in your understanding of the laws and regulations affecting our industry, how they affect you in your business, and how to adhere to them for compliance and consumer protection. This module will review the compliance requirements of the Bank Secrecy Act in regards to Anti-Money Laundering and the reporting of Suspicious Activity. We will outline the anti-money laundering compliance requirements and reinforce your knowledge of your requirements to report suspicious financial activity. The topic of failing to comply with BSA/AML SARs filing requirements is required study by all mortgage licensees for their 2018 NMLS renewal. Identify the stages of money laundering. relationship or account with the customer. Describe the information that should be included on a preliminary suspicious activity report. List various red flags that could imply fraud in the transaction. Besides a traditional conventional loan product, there are other options available when it comes to rehabilitating a home for purchase and refinance that may more perfectly fit the rehab loan needs of the borrower. This module will explain several non-traditional mortgage products, exploring other options available to borrowers such as the Federal Housing Administration's 203(k) property rehabilitation loan, four types of energy efficient mortgage products, and the Fannie Mae HomeReady® rehab loan product. Describe the guideline for the FHA 203(k) rehabilitation loan product. Recognize the qualified improvement differences between the standard 203(k) and the limited 203(k). Paraphrase the purpose of energy efficient mortgages (EEMs). Energy Mortgage, and the Property Assessed Clean Energy (PACE) Program. Outline Fannie Mae's rehabilitation mortgage product, the HomeReady Mortgage program. All mortgage lenders, mortgage loan originators, and all who are involved in the mortgage lending industry are subject to various state and federal fair lending laws. It is important for us to understand the laws that govern the mortgage business in order to remain in compliance and to fully understand fair lending practices. This module will cover the various requirements in place to remain in compliance with fair lending laws and protect consumers, your company, and yourself from discriminatory lending practices. Identify discriminatory practices in the mortgage industry. List classes that are protected from discrimination. Define what is required to provide fair lending in the mortgage industry. If you do not have an NMLS ID and need to obtain one, use the instructions available in the NMLS Resource Center.